Corey Michael Baker grew up in the Midwest and has been playing the guitar since age 10. 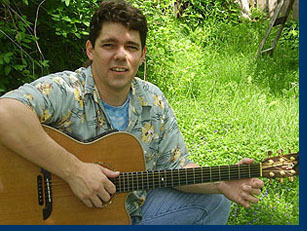 He began performing professionally at age 16 and has been teaching guitar, bass and mandolin since 1988. In 1990, Corey moved to Los Angeles to attend the Institute of Audio and Video Engineering. After graduation, he continued on at the Institute in a dual teaching and studio manager position. While still at the Institute, Corey also was hired as an assistant engineer and maintenance technician at Rumbo Recorders, a state-of-the-art studio in Los Angeles owned at the time by the Captain and Tennille, and where Heart's “"Dreamboat Annie"” was recorded. While there, Corey worked with several of the industry's best musicians including Ringo Starr, Stone Temple Pilots, Vince Neil, Tom Petty and Smashing Pumpkins. Throughout his career, Corey has never stopped playing, recording and teaching. In 1999, with a family of his own, he returned to the Midwest to build a recording studio and teach full time. He now lives and works in Cedar Rapids, Iowa, where he teaches 50 students a week, records in his home studio and plays with other musicians in the area. It was through teaching that Corey realized that his One Note system could benefit others. The One Note method was first introduced on simple handwritten pages handed to students during their lessons. When several students asked him to copy his handwritten notes to use as study aids, Corey's book, The One Note Guitar Method, was born. If you are interested in taking private lessons with Corey and are in the Cedar Rapids, Iowa area, please contact us! "The One Note Guitar Method is the result of many years of teaching. It's based on both what I've taught and what I've learned from teaching hundreds of students".